The original Mazda MX-5 Miata is still a good way to drive something that is small, light, and nimble -- it is arguably the best driving British roadster that you can drive when new, and such is true even to this day. The Miata got a reputation for being a hairdresser's car, but a ride in this next one should put some hair on your chest (if needed). 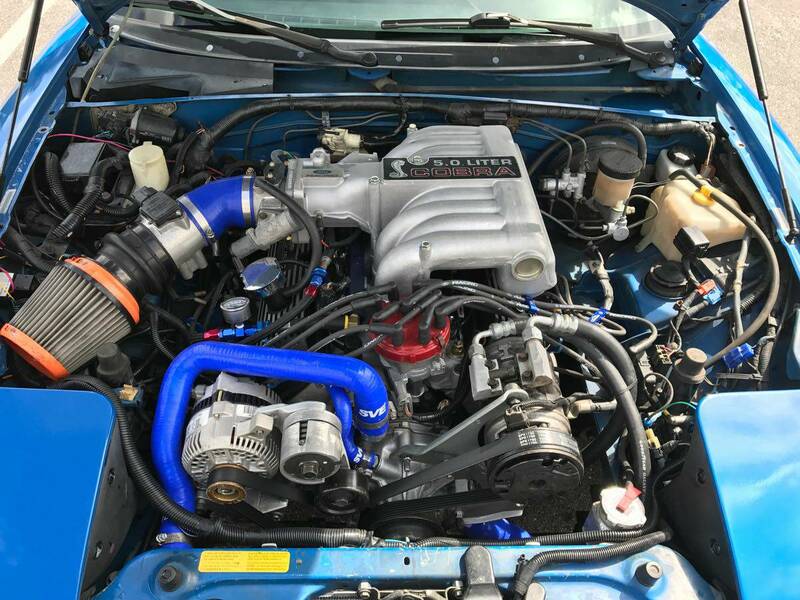 Find this 1990 Mazda MX-5 Miata V8 offered for $13,500 in Jacksonville, FL via craigslist. 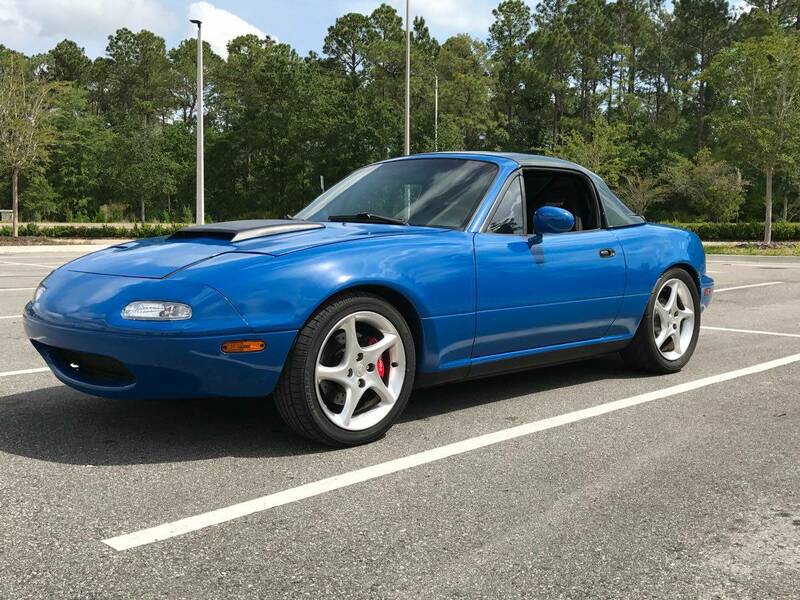 Tip from Jeff G.
You don't need to be an accountant to recognize that $13.5k is a king's ransom for a 1st generation Miata, but this one has a surprise up its hood scoop. Powering the little blue pill is a 5.0 liter Ford V8 that pushes out 340 horsepower into a T-5 manual gearbox. How many lead plates, used for ballast, are in what used to be the trunk? It looks like a clean installation from this shot. Cool. 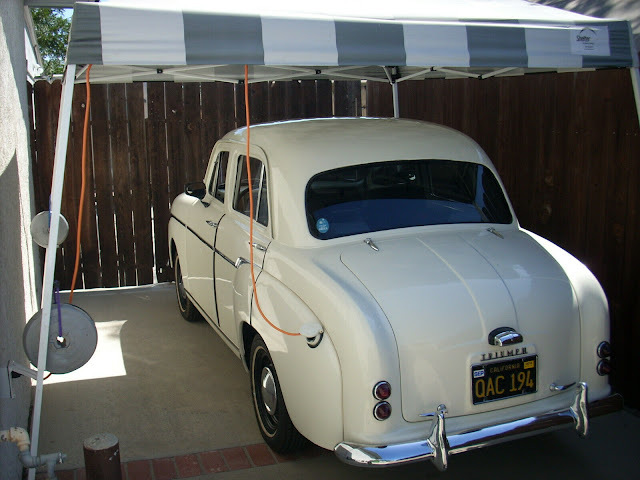 Yes, I would kill for this car, Democrat or not. ...and the fact that I'm widowed has nothing to do with it...and that's my story and I'm sticking to it.